"At first glance, everything looked the same. It wasn't. Something evil had taken possession of the town." Set in the fictional Santa Mira, California, the epitome of small town America, Invasion of the Body Snatchers (1956) follows Dr. Miles Bennell (Kevin McCarthy) as he uncovers the truth behind the bizarre behavior in his community. It all starts with a frightened young boy who claims his mom is not really his mom. Dr. Miles' high school sweetheart Becky (Dana Wynter) has a cousin who's convinced that her uncle is not quite right. While he looks and acts like her uncle, something is off. Then suddenly a lifeless form appears at the home Jack (King Donovan) and Teddy (Carolyn Jones). And then they all make a shocking discovery: giant plant pods are replicating the townspeople and replacing them with lifelike creatures that seem like the real thing but are devoid of everything that makes someone truly human. It's up to Dr. Miles and Becky to escape Santa Mira and let the outside world know what's happening before the plant pods take over the world. Can these two get the word out before the plant pods replace them? Inspired by Sloan de Forest's book Must See Sci-Fi, I'm tackling a genre that I've always avoided. When I read Sloan's description of this movie I thought to myself "why haven't I seen this one yet? It sounds terrific!" On the surface, a story about over-sized plant pods from outer space invading a small town did not appeal to me. However, Sloan described this not as a movie about alien invasion but as a Cold War paranoia film that tapped into the fears of the time. And with that I was sold. The film is based on the novel The Body Snatchers by Jack Finney, serialized in Collier's Magazine from November to December 1954. Producer Walter Wanger and Allied Artists Productions got the rights to the film and writer Daniel Mainwaring (author of Build My Gallows High/Out of the Past) adapted it to screen. Sam Peckinpah, who has a small role in the film as a gas meter reader, worked with Wanger and also served as dialogue director. Peckinpah's contributions to the script have been inflated over the years and Mainwaring at one point filed a complaint with the WGA and Peckinpah recanted his claims. The title was changed from The Body Snatchers to Invasion of the Body Snatchers to separate it from Val Lewton's 1945 film The Body Snatcher. Titles such as Sleep No More, They Come From Another World, Evil in the Night, Better off Dead, A World in Danger, It Could Happen, and Out of the Darkness were considered but ultimately shelved. 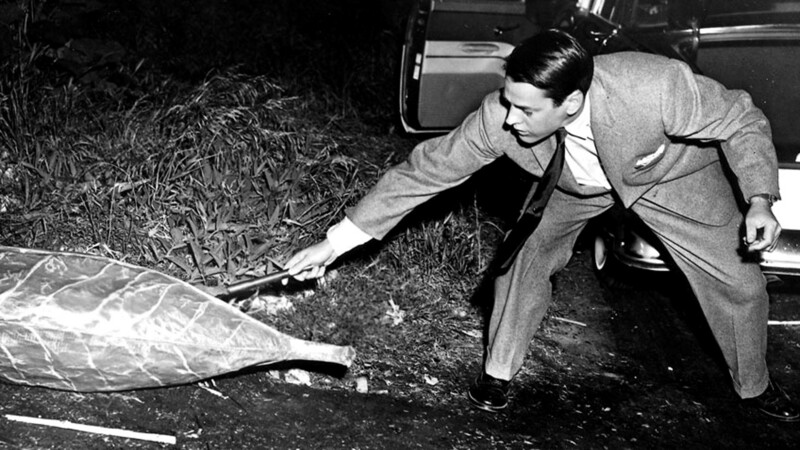 Directed by Don Siegel, Invasion of the Body Snatchers was shot over 23 days (other sources claims it was 19) on location in the famous Bronson Cave in Griffith Park, other parts of the Hollywood Hills and Los Angeles. Sierra Madre served as the small town Santa Mira. Filmed in SuperScope and with a budget of $300k, the filmmakers could not predict that their low-budget B-movie would go on to become one of the most beloved and influential science fiction movies of all time. 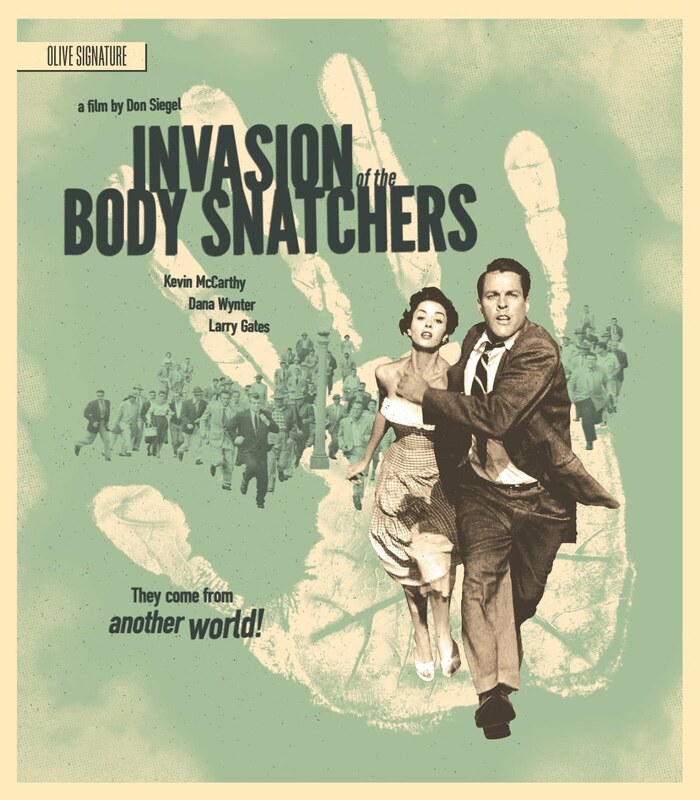 Invasion of the Body Snatchers is gripping and suspenseful. The build up was perfectly paced. At no point did it seem hokey or cheesy. It's a sophisticated 1950s B-movie that did a lot with a little. Kevin McCarthy was a perfect fit for the role of Dr. Miles. Not only did he have the acting chops to deliver a great performance but he also had the stamina for a very physically demanding role. McCarthy had that everyman look that made him well-suited for the part. Dana Wynter is perfectly matched as Dr. Miles' partner. While her part could have been solely as damsel in distress but she has much more autonomy than that. I was fascinated that both Dr. Miles and Becky are divorcees. It sets them up as characters who refuse to remain in a bad situation because of societal pressure. Whether the social and political commentary was intentional or not, Invasion of the Body Snatchers has been seen as both anti-Communism and anti-McCarthyism. And while it spoke to the fears of Cold War America, the film is ultimately timeless. The story is about inherent fears that we all have: conformity, complacency, submission and the loss of identity, control and free will. It also explores mass hysteria and to some extent mob mentality. I was particularly drawn by the fear of sleep, a state in which we're at our most vulnerable, and the fear of not being believed, especially when we have something really important to say. Olive Films has recently released a limited edition Blu-Ray and DVD of Invasion of the Body Snatchers (1956) as part of their Olive Signature series. This edition has a limited run of 5,000 copies and is packed with lots of extras. The quality of the Blu-Ray is fantastic, the new cover art is stunning and I enjoyed exploring all the extras it had to offer. It's a very nice package and would make a great purchase for Halloween or Holiday gift. I would snap this one up quickly because I wouldn't be surprised if it sells out soon. Thank you to Olive Films for sending me a copy of Invasion of the Body Snatchers (1956) Olive Signature Blu-Ray for review!